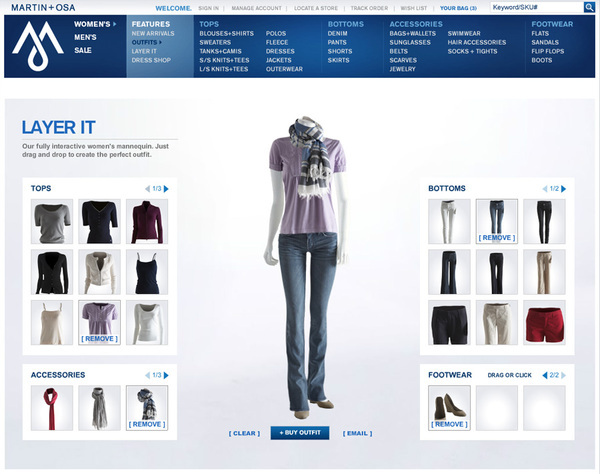 We developed a retail fashion site for American Eagle's Martin + Osa brand with a full-video shopping experience built in. M+O stylists put outfits together that customers could buy all at once, and the outfits were shown on models that came to life as a user checked out the looks. 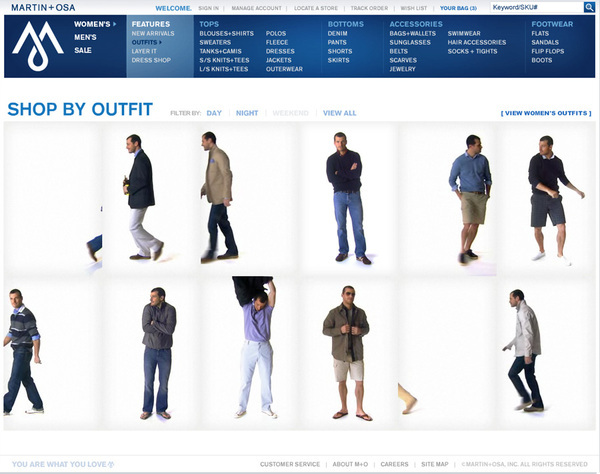 Rolling over an image zoomed in and made the model spin, and when sorting by outfit type the models would enter and leave the site grid in unique ways. I directed a handful of video shoots over the winter and fall seasons to capture the models in the whimsical poses and actions that we needed to make the site feel like a live lookbook.